Feeling the heat? 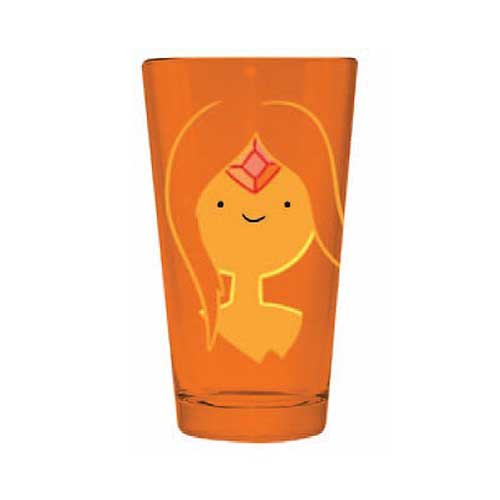 Cool off with a drink from your new Adventure Time Flame Princess Pint Glass! She may not have been the girl for Finn, but this fierce 16 oz. glass featuring the Flame Princess on an orange background is just what you've been looking for! A perfect gift for fans of Adventure Time with Finn and Jake! Hand wash only. Not dishwasher safe. Do not microwave. Measures approximately 6-inches. Ages 14 and up.